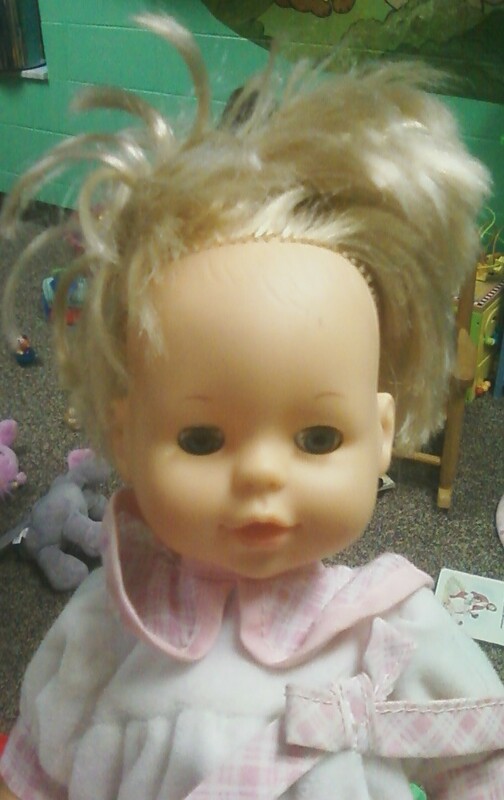 I don't think they make doll hair these days like they used to when I was a kid. All my girls' dolls look just like this, LOL! Ha! I'm not even going to comment on all the things my child has said about my hair! Perfect hair style for a mom who still lives in the 80's! Hope you are having a great day! The doll just wants in on the Dubstep craze... Skrillex anyone? Stopping in from SITS, Have a great day!